marraskuu | 2017 | Urban Mill – Building IntenCity! 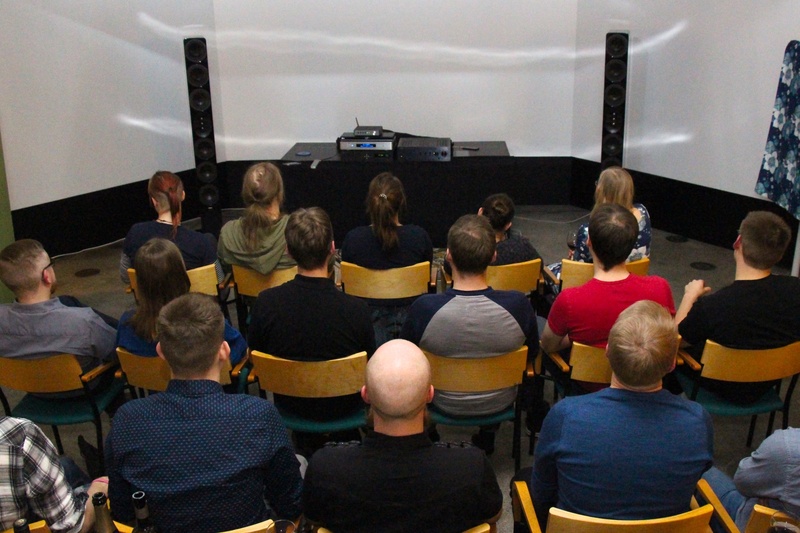 Sisällöntuotantoa workshopataan ammattilaisten ohjaamana, jolloin kurssista jää käteen muutakin kuin teoria. Earn your lunch by riding the robot bus in Otaniemi! 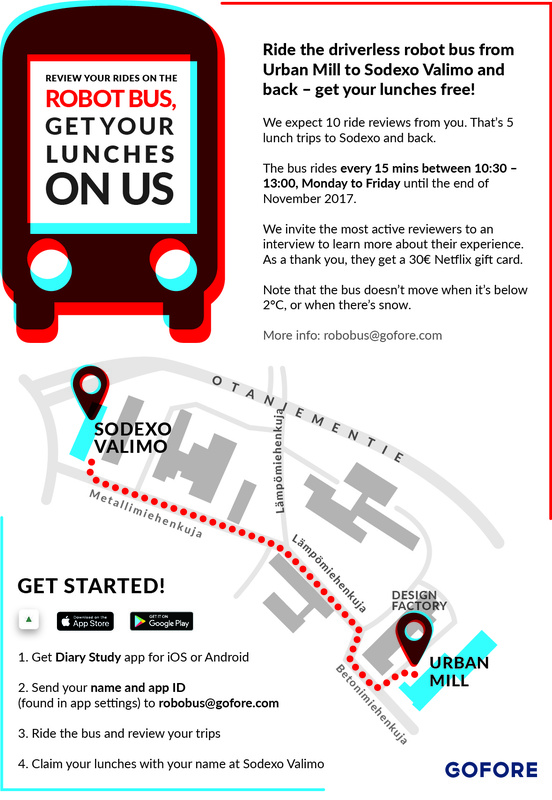 You may collect your lunch points on the robot bus line from Otaniemi Innovation Alley stop at Urban Mill to Valimo bus stop. See the map below for details. The bus is scheduled to operate until the end of November. Have you find yourself with difficulties to cope with stress at times of deadlines? Does a simple behaviour the enough strength to ruin your whole day? Are there times in which you wished you controlled yourself more? Or, have you avoided expressing your feelings because of social pressure? How many times you asked to yourself if this is who I want be? In this workshop we will work the four main aspects that form the emotional intelligence: self-awareness, self-control, empathy and social abilities. All these are essential for a balanced life. Thank you in advance for your time and your attention.